Wow, it's already MAY! 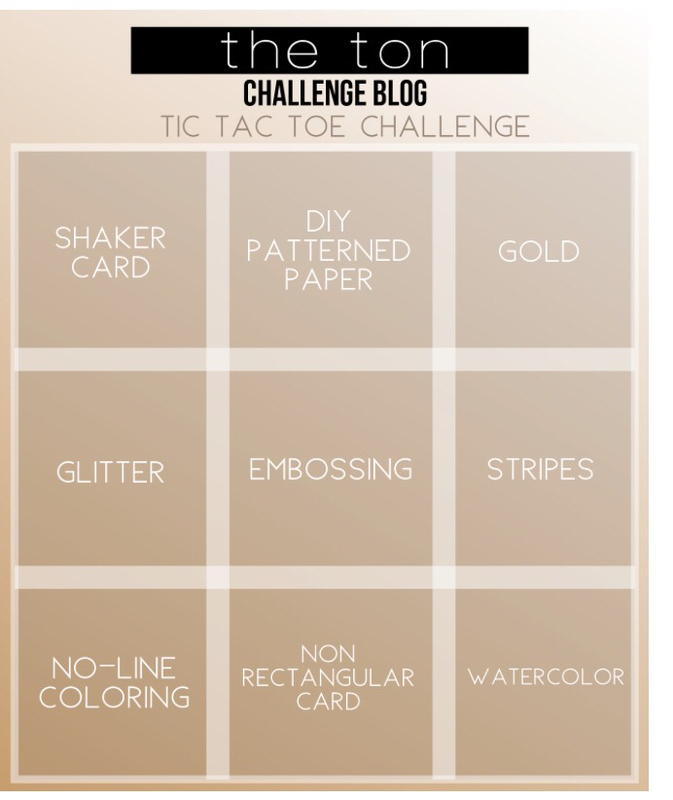 ?Time for another Challenge at The Ton Challenge Blog.This month's theme is so fun! Try this "Tic Tac Toe"
I made lots of cards using this Tic Tac Toe Board.Sometimes when card making, I feel like... Oh! What should I do? !If you feel the same way, then these board can help you out! 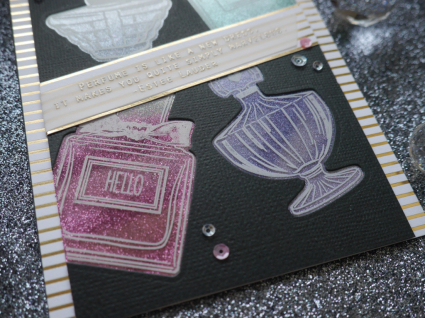 Today, I'm sharing a card with "Glitter-Embossing-Stripes" line.Glitter all over on my table! But what a fun!!!!!! 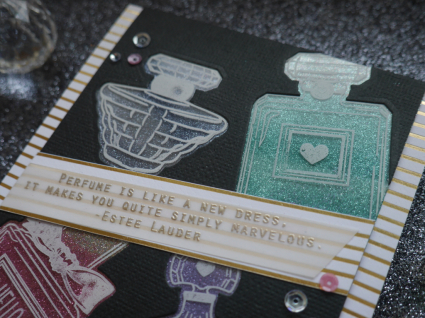 I used the Marvelous Perfumes!I know so many people fell in love with this stamp set, and so do I!!! 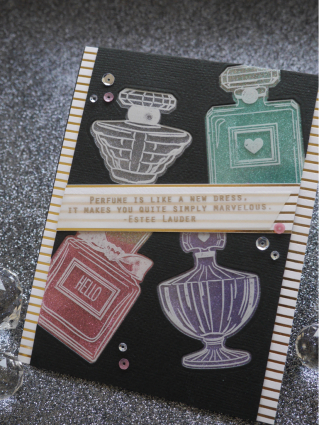 I die cut the bottles and put sheet adhesive on the back, then I put lots of glitter.Isn't this gorgeous??? Turquoise is my favorite! I mixed turquoise and silver glitter for the cap. I stamped sentiment on the vellum and put on the gold stripe patterned paper.Also I used some more gold strip patterned paper for the background. And I wanted a little more shine!So used some sequins from Pink Diamond Couture Mix. I hope you enjoy this month's challenge at The Ton!